After successfully making its presence felt in India, HeyBnb, a leading alternate stays BnB online marketplace, specializing in Group Stays, has expanded its operations into Europe and the United States. The company has now aggressively expanded its base to 28 countries including India and has scaled up its presence to more than 25,000 properties worldwide. HeyBnb is now present in more than 2,000 cities all around the world including more than 70 cities in India. The company is now targeting the South & South East Asian countries including Singapore, Nepal, Bhutan, Thailand & Sri Lanka in its next phase of expansion starting April. The company, officially launched in late 2016, enables people to list or rent short term Homestays, BnB set-ups and unique exotic stay options ranging from Tree Houses, Camps, Tents to even an Island in the locales of Kerala, India. HeyBnb ensures that across all of its listings, its guests have a seamless customer service focused quality and a lifetime experience. The company has a unique value proposition for Group Stays by offering extremely competitive pricing for groups of the size of 4-10 people. Until now, India has not seen a service provider specializing in providing accommodations for groups. HeyBnb’s unique proposition in group stays has generated a great deal of attention since its recent launch in India. “We have been remarkably impressed with the number of people who were looking for Group Stay options in India and abroad and HeyBnb is poised to be the market leader in this space” said Sharan Shetty, CEO of HeyBnb. 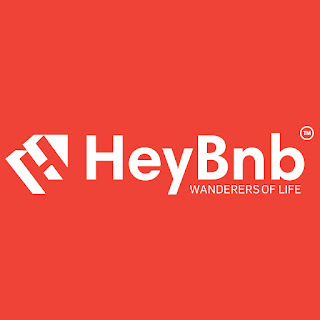 The Bangalore based start-up currently operates in various exotic locales of India like Coorg, Chikmagalur, Wayanad and Thekkady in addition to the main urban hubs of the country HeyBnb is now present in Spain, Austria, Thailand, the Netherlands, Germany and the United States and is adding new countries monthly. Keeping in mind the large Smartphone consumer base, HeyBnb has launched its next generation of Android and iOS App which makes the exploring and booking on its App a whole new seamless experience. The most interesting new feature on the App is the Toggle between Guest and Host mode where a guest can become a host by listing his own property and a host can become a guest by booking one of the properties from HeyBnb’s large database. “This feature really allows our customers to be our partners by not only booking a stay but at the same time listing on HeyBnb,” said Mr. Shetty. Emerging as a swiftly growing global company, HeyBnB was established in late 2016. With its headquarters in Singapore and business operations in Bangalore, the Silicon Valley of India,, HeyBnb is an online marketplace that provides short stay lodging based on the shared economy. HeyBnB is currently operating in more than 70 cities in India and 28 countries all over the world. With more than 25,000 listings, we bring together the hosts wishing to make some money with the extra usable space in their properties and the travellers seeking comfortable and affordable alternate stays via internet. Founded by Stan Dong, Kenny Blatt and Nitesh Shetty, HeyBnB is the best accommodation partner of all flavours and sizes in the most affordable ranges. Now you don’t have to keep postponing your summer vacation plans to make it abroad. Go ahead and make a booking! !